My husband and I love everything about Napa, especially the wine, and try to get down there a couple of times each year. I constantly get emails from family, friends and friends of friends asking where to go wine tasting so I thought a post about some especially good – not to miss spots – would be great! There are wineries that take reservations and others that don’t. Personally I prefer the ones that are reservation only simply because it means there will be no tour buses, less people, and more one on one time most likely with the owner or wine maker. What’s not to love about that?! One of the downsides to reservation only wineries is that sometimes that means there’s an expensive tasting fee. At the end of the day I think you need to figure out what your goal is. Are you looking to just have the experience of wine tasting without buying? Are you wanting the convenience of just popping into a place off of Highway 29? Are you interested in buying hard to find wine not accessible to the general public? Whatever your answer is, I’ve got plenty of places for everyone. Below I have them categorized to help you narrow down your selection. Fleury – $35 tasting fee. This is hands down one of our favorite wineries! The winery itself isn’t anything to write home about. It’s a warehouse with tasting tents set up inside however the wine is the true star here. Go here if you’re looking for some great wine to purchase. Our favorites are the Passionne, The “F” in Red, Le Fleur 29 and Rocket Juice. Yum…makes me want some now! Schramsberg – $45 tasting fee. If bubbles are your weakness, then this is your place! I typically recommend people start their day here since drinking champagne is a little easier to do earlier in the day in comparison to red wine:) You’ll definitely get your $45 worth of champagne, they serve generous pours and you’ll learn a lot about the history of champagne as well as the winery itself. Quintessa – $65 tasting fee. One of the most expensive tasting fee I’ve ever paid at a winery but the architecture and winery itself are stunning. By visiting this winery you’ll get a full tour of how the grapes are grown, harvested, sorted and processed into wine. It’s a beautiful set up and the wine is really delicious. Just a heads up if you do end up buying – we suggest cellaring their wine for a good 5 years. It tends to taste a bit young before letting it age a little longer. 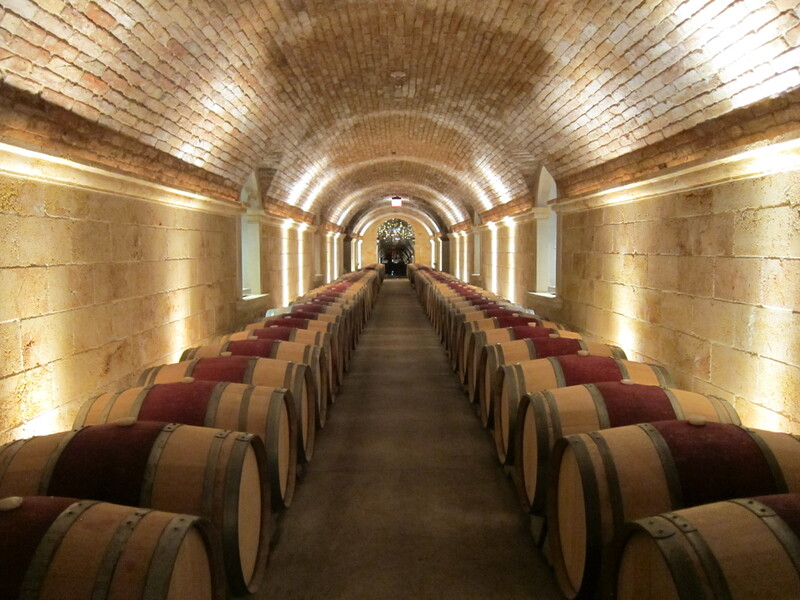 HALL Rutherford – My husband and I had our rehearsal dinner in the gorgeous wine cave here. Situated up in the hills, HALL Rutherford has stunning views and is overall a lovely wine tasting experience. From whites to reds, their wines are delicious. The “Bergfeld St. Helena” is a favorite in our house. Gabrielle – This is such a special winery and not one to be rushed. I believe I spent about an hour and a half here and probably could have been there all day had it not been for my other appointments. Gabrielle takes you on a walking tour of her beautiful property and then brings you to a charming table set by the pond and under the trees for some wine tasting, as well as her salts, herbs, honey, etc if you’re interested. The Silver Stallion is incredible as well as the Cask 321. Caldwell – Limited appointments each month. Another winery set high in the mountains, this too is a very special place with the most charming owner (John). This is probably one of the most exclusive wineries I’ve ever visited and they don’t offer many tastings a month so call ahead if you want to go. All of John’s wines are stunning but something that also stood out was the wine his workers sell as their own. John has been nice enough to gift them land on his property to make their own wine which is a pretty incredible opportunity for anyone let alone a very generous and thoughtful gift if you ask me. Pride Mountain – $20-$75 tasting fee. Set up one of their tastings or tours for you and up to six to twelve other guests and enjoy the view and stunning wines. I personally love their Merlots. 2010 was a phenomenal year for them which is unfortunately sold out at this point but I’m enjoying their current release now and it’s delicious! Merus – Since visiting Merus, I now see on their website that it says, “Because our production is so restricted, the winery and its tasting salon are closed to the general public and may only be visited by invitation”. I would check with your hotel concierge to see if they can get you in because it’s well worth it. Their wine is outstanding! Sent from my iPad while on safari in South Africa!